DAVID LE/Staff photo. 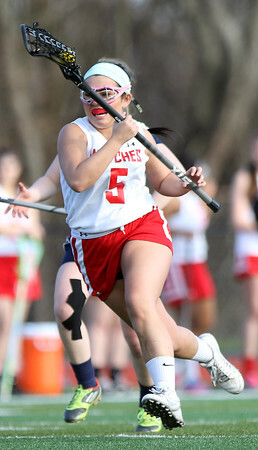 Salem's Brianna Valido (5) drives hard to the net against Winthrop on Friday afternoon. 4/1/16.